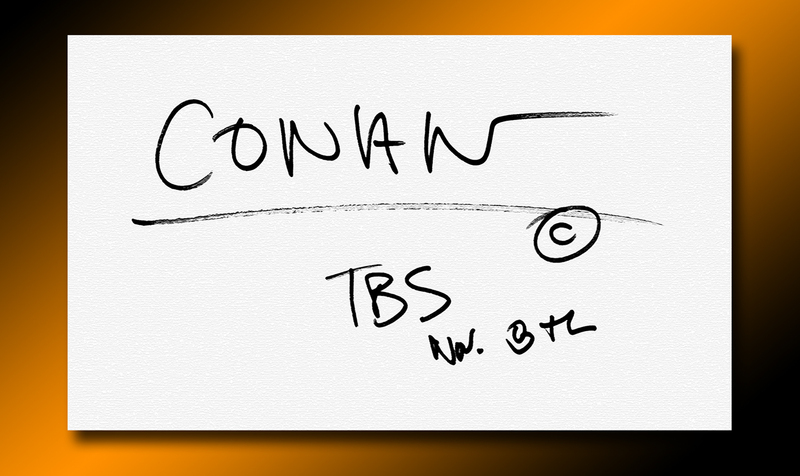 "Spoiler alert: The words "Tonight" and "Show" Aren't in it"
Today, after months of hot anticipation, the first redhead of late night Conan O’Brien announced the name of his new TBS show. Yesterday he warned his Twitter followers, “I was going to announce the name of my new show today, but my lawyers tell me "The Return of Nanny McPhee" is taken. Tune in tomorrow.” Today, before the announcement, he added, “I announced the name of my show today…(Spoiler alert: The words "Tonight" and "Show" aren't in it. Check out the video below for the shocking final conclusion and (actual) show title The premiere date was also confirmed: November 8.